The District 6080 November Foundation Newsletter is now available. 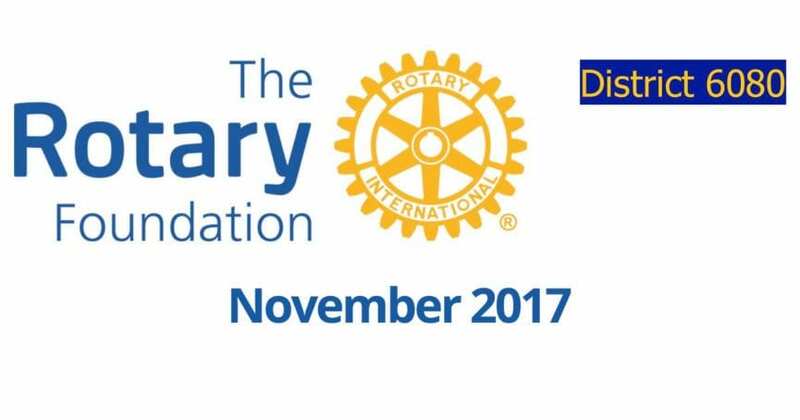 In it you will be reminded that November is Rotary Foundation Month, the time for additional messages about The Rotary Foundation to be delivered to the membership. There is also some news from last weekend’s District Conference. Donors from last year who attained new levels of giving are named. Forms are included for your use in making a contribution to The Rotary Foundation, for joining the Paul Harris Society, and for joining the Bequest Society. A report from Global Scholar Brooke Micke is included. Blessing your good feelings when you contribute to those in need.